Kai Masters is a Border Guard. He and his dog BC help keep Earth safe from Beasts by defending the border wall between Earth and Beastium. While working on new battle gear in his new test room, Kai gets an alert saying there is a problem in rock land. Somehow water is getting in and if the lands mix, it will cause many problems including the possibility of mutant beasts, as yet unknown to the Border Guards. He needs to get in there and sort the problem before it gets out of hand. 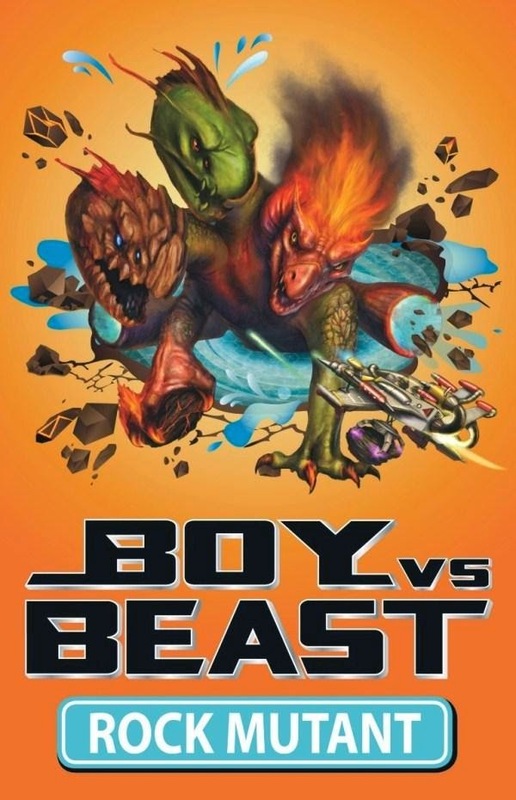 Boy vs Beast is popular among young boys, especially those who love computer games. The series has a gaming feel to it with its structure, the levels Border Guards aim for and the achievements systems awarded for battles which open new rooms back at base. Rock Mutant introduces is the first of the mutant beasts, caused by the accidental overlapping of the lands. The concept of Kai's gear mash-up is also a first for the series and now Kai has the ability to combine two of his battle gear devices to produce an even more effective one to battle the mixed up beasts. Weird and wonderful battle gear, flash transport, a robotic dog and lots of action provide an exciting ride for young readers to lose themselves in a superhero tale of saving the world from horrible beasts... Over and over again. This short chapter book (it's under seventy pages) with plenty of graphics and the battle in comic format, is suitable for six years and up and will particularly suit boys beginning to read.